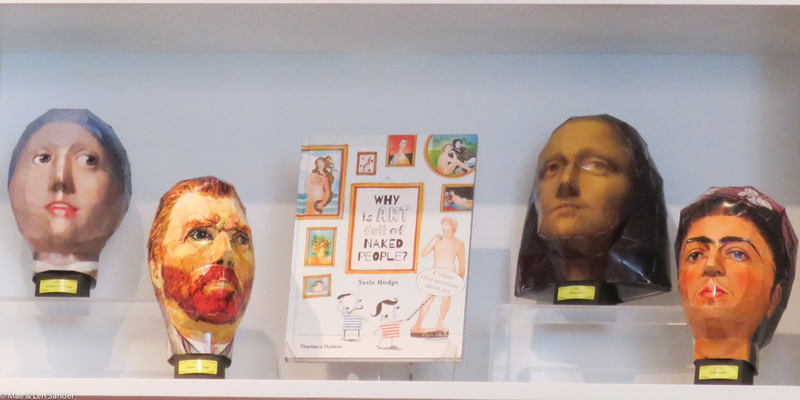 Sighted in the Carnegie Museum Shop: paper models of heads belonging to famous art works. 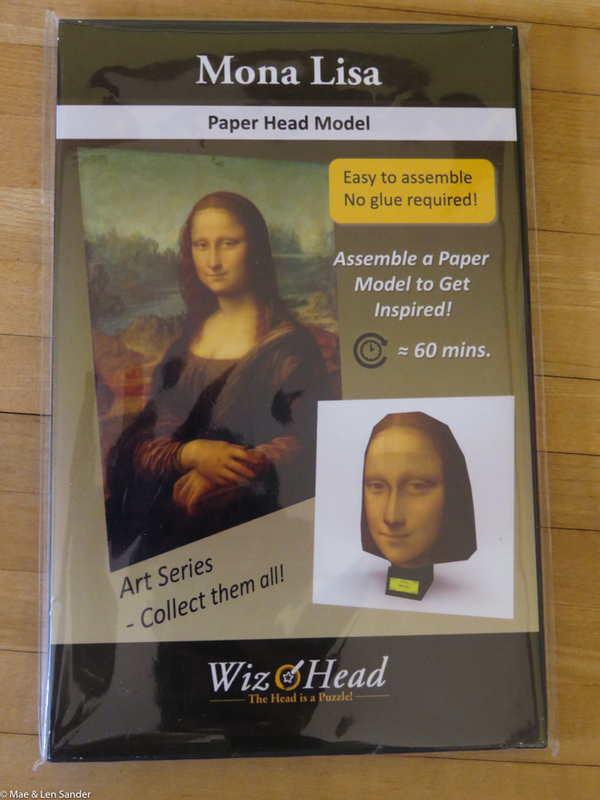 Had to have the Mona Lisa head. 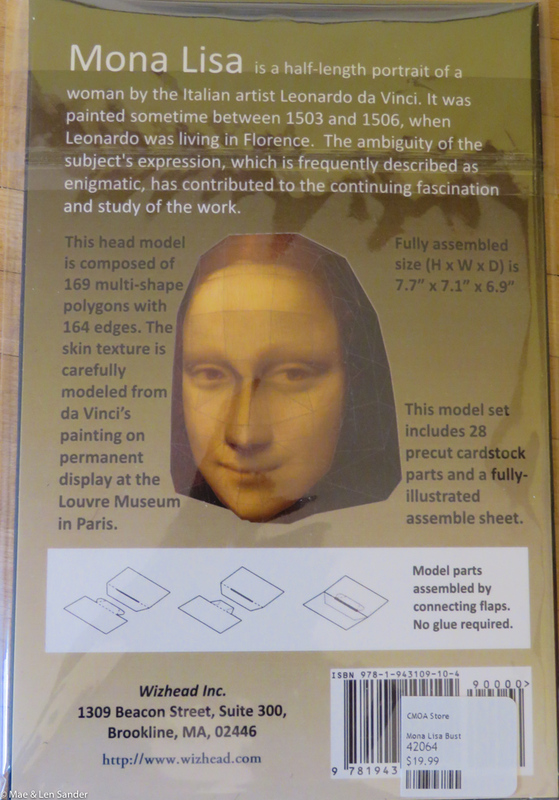 I'm not sure I'll be opening and assembling this. 60 minute estimate is probably way too little time! this is not a project I want to do. A book I've been meaning to read. This is almost wordless Wednesday, but I didn't quite stay entirely mute. 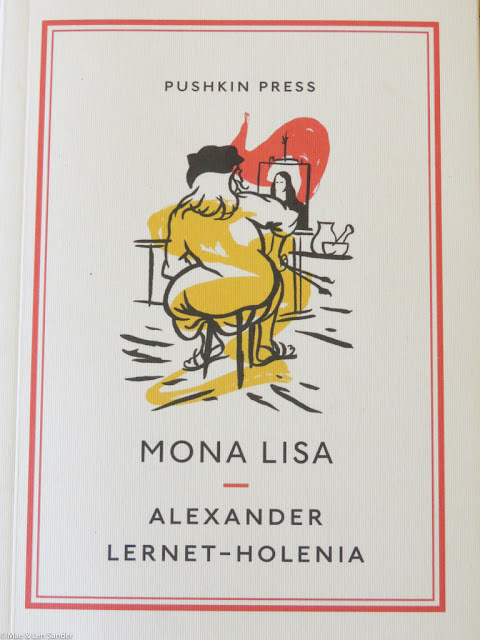 UPDATE: I read the book by Alexander Lernet-Holenia -- amusing fictional story about Leonardo and Mona Lisa, but not particularly enlightening or historically relevant. 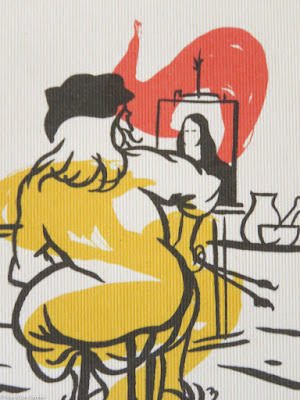 Mona definitely looks better with her longer hair than the Dutch Bob right here! That style worked for Amalie. 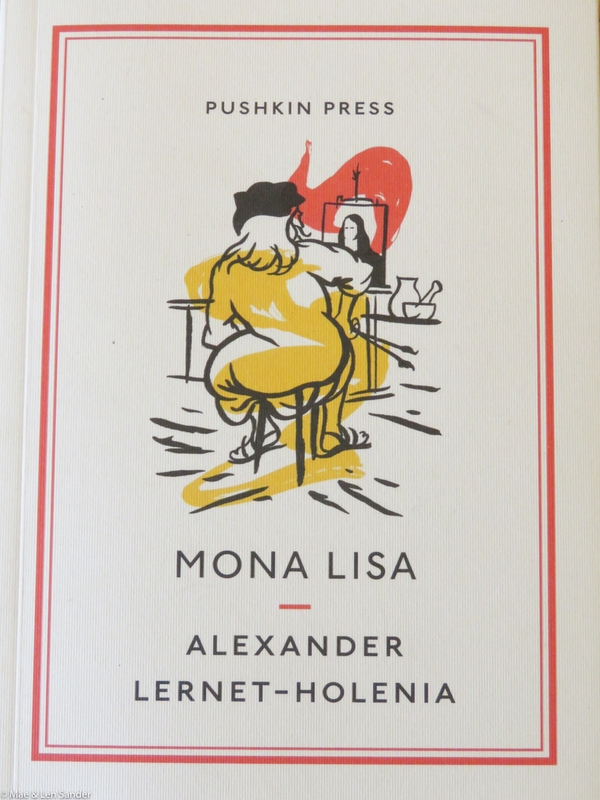 Not for Mona!